PRP Kits contain the items needed to obtain pure and high quality PRP (Platelet-rich Plasma) from a whole blood sample. PRP is a fraction of whole blood that contains an enriched concentration of platelet cells as well as their associated growth factors and cytokines, with little to no trace of other blood components like red or white blood cells. This concentrate of platelets and signaling proteins is suspended in a small amount of plasma. PRP is highly prized for its capability to accelerate or augment the healing process, through influencing inflammatory processes, encouraging cell proliferation and activating tissue remodeling. Many PRP kits require the use of lab equipment such as a centrifuge and an incubator to properly process the sample and acquire pure and therapeutically effective PRP. PRP kits offers a cost effective and easier method for harvesting PRP from the patient for administration in the same treatment session. PRP is suitable both as a monotherapy or as an adjuvant to other aesthetic procedures like dermal fillers, fat grafts, plastic surgery, or skin resurfacing (e.g. lasers, IPL, chemical peels) to aid in skin recovery and to improve the aesthetic results obtained. PRP therapy is used for numerous indications in a wide range of medical fields due to its ability to aid in the healing of damaged or injured tissue. In the realm of aesthetic medicine, PRP can be used on the skin of the face, neck, décolletage as well as the back of the hands and feet to smooth out wrinkles, rehydrate dry skin, reduce discoloration and improve suppleness. PRP can be administered to treat skin diseases like psoriasis, acne, eczema and dermatitis. PRP can also help improve the appearance of scars, including post-acne scars. If used around the eyes, PRP has the ability to reduce dark circles and puffiness. PRP therapy has also been used as a hair restoration treatment in patients with alopecia. How long do PRP injections last? Depending on its application, PRP therapy is given in multiple injection sessions ranging from two to ten sessions, spaced in intervals of seven to ten days. The results are long-lasting, with many patients reporting improvements that remain for up to 18 months after PRP therapy. PRP is harvested from a sample of the patient’s own blood. Typically, this is collected from the veins of the patient in a predetermined volume, usually around 10ml. PRP Kits follow different protocols designed specifically for that kit to isolate and extract the PRP, however most of them involve a centrifugation step to enable the separation of whole blood into its respective fractions. PRP is administrated according to the kits’ directions, but in general injection is intradermal and performed with a 30G needle. Appropriate injection techniques employed for PRP administration include the cross-hatching, linear threading or fan techniques. PRP can also be administered in microinjections, similar to mesotherapy. If injecting using this technique, a 32G needle should be used instead. A typical PRP injection session takes no longer than 30 minutes, including the time needed to collect and prepare autologous PRP. Gel separators – These PRP kits consist of blood collection tubes which also contain separating gel that has a density between that of blood and platelets. When blood is centrifuged with the separating gel, the layers of distinct blood components are physically segregated by the separating gel, allowing for extraction of highly pure PRP containing almost no white or red blood cells. Buffy coat based – When whole blood is centrifuged at low speed, the respective components naturally divide into distinct layers, one of which is a so-called “buffy coat” consisting of platelets and white blood cells situated between an upper layer of plasma, and a bottom layer composed of red blood cells. This buffy coat is then transferred (without red blood cell contamination) to generate the PRP. Some kits incorporate a second centrifugation step to achieve a higher platelet concentration and PRP purity. One of the top brands is Plasmolifting. Plasmolifting PRP Gel – This PRP kit contains 10 vacutainer tubes that are specially used with the Plasmolifting method. These 9ml blood collection tubes contain a unique thixotropic inert polymer gel and sodium citrate, which acts to prevent the collected blood sample from clotting. 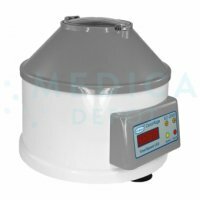 Plasmolifting Centrifuge – Certified centrifuges designated for the Plasmolifting protocol. 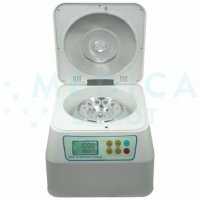 Two models are available, the Plasmolifting Centrifuge XC 2000 and the Plasmolifting Centrifuge XC 2415. Plasmolifting Incubator Mini B 100 – This lab apparatus is used to generate what is known as Plasmolifting gel, a thicker form of PRP which can be used in the same manner as a dermal filler. 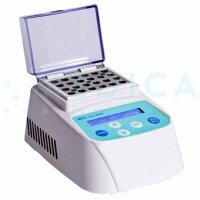 This dry bath incubator uniformly heats the PRP to denature plasma proteins, thereby changing its physical properties and converting the PRP into a viscous, thick gel.